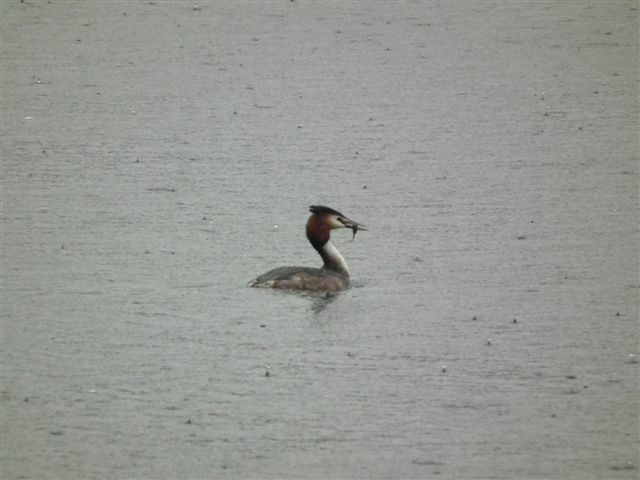 It was a wild and wet Saturday morning but 14 of us were undaunted and the Great-crested Grebes rewarded us. 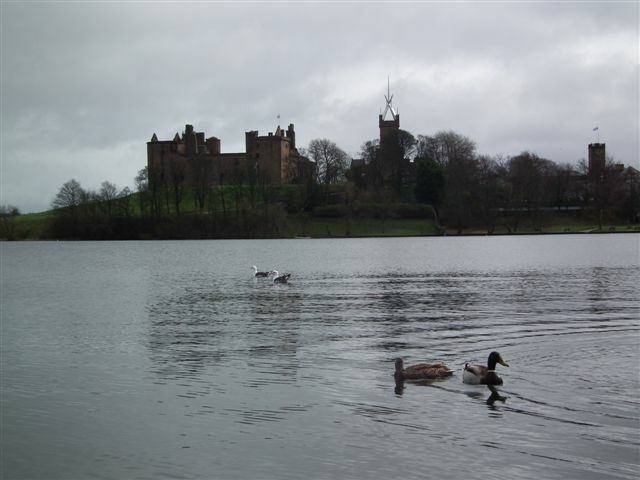 There were three pairs, a couple of single males, a dabchick or two and lots of tufted ducks and coots. 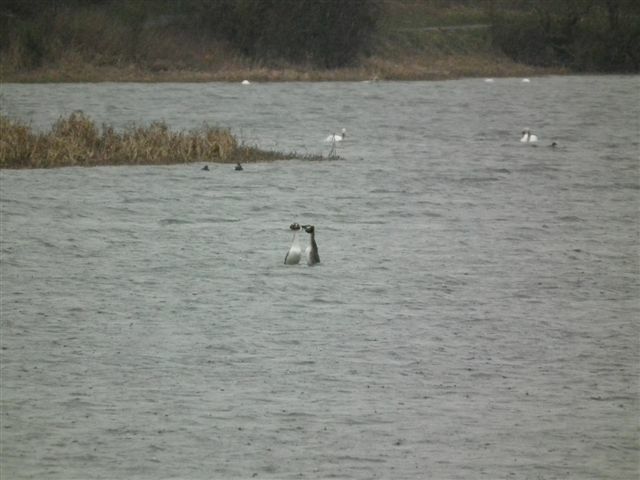 However, it was to see the grebes display that we had to brave the early rising. 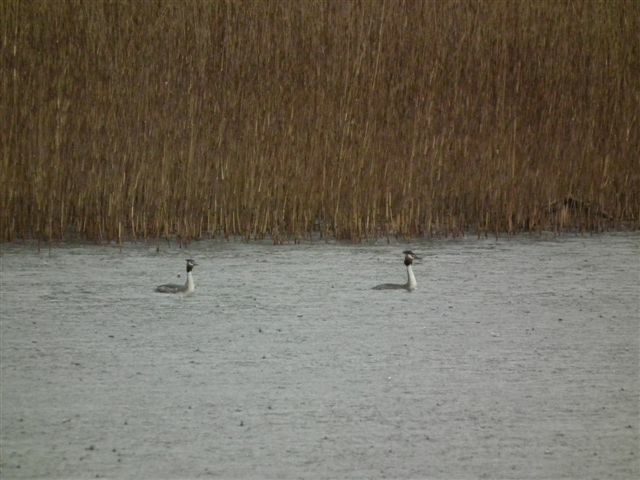 While not a full display with head waving, shaking weed and ruffles raised, one pair did rise up and beautifully weave themselves around each other for all of a minute and then sail off. A dozen of us then retired to the warmth of the West Port Hotel for a hearty breakfast and good conversation. Photos courtesy of Sarah Forbes.